Spring is a time for celebrating new life! 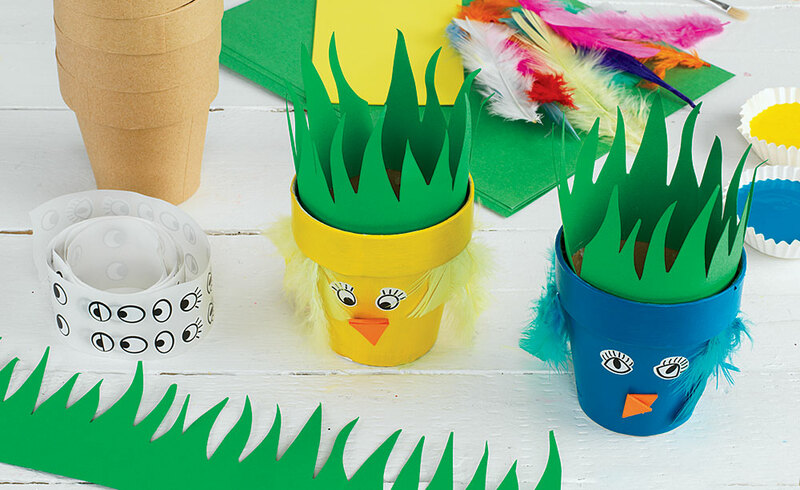 In this activity children will make pots resembling adorable baby birds that they may use for Easter baskets, supply holders or any number of things. A terrific introduction to the colors and symbols of spring! Make this an open-ended craft by providing a buffet of additional craft supplies. Add poms, wiggly eyes, pipe cleaners and more for one-of-a-kind birds of all unique sorts. 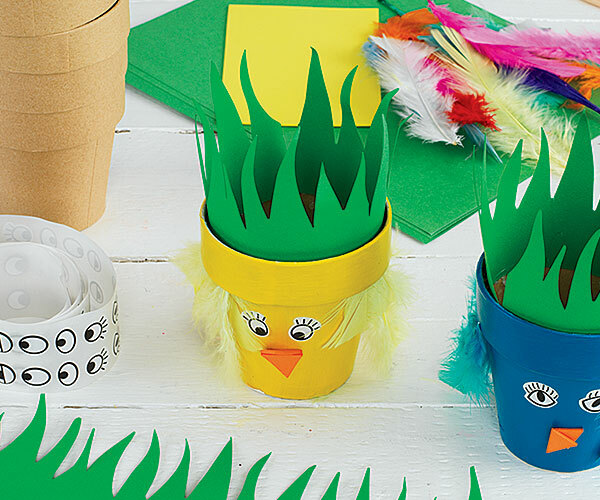 To make these charming chick pots, you'll need to gather the following materials: papier-mâché flowerpots, paint, wiggly eyes, feathers and construction paper in bright spring colors. Feel free to incorporate additional collage materials. Paint your papier-mâché flowerpot in bright spring colors. Feel free to experiment with spraying, brushing or using textured sponges. Once you are done painting, allow the pots to dry. Cut foam or construction paper into beaks and strips of wavy hair. Adhere the hair along the inside of the pot, and the beak and eye stickers on the outside. Glue feathers around the face and elsewhere around the outside of the pot to give some fluffy texture to your bird. Now's the time to add any other decorative materials that you'd like. Fill your flower pot with recyclable paper grass in bright spring colors such as pink, blue and green. Add Easter candy and Easter eggs or take your basket along for an Easter egg hunt! Baby chicks and blue birds are adorable symbols of spring, but children may wonder why. Discuss how spring is a time for celebrating new life as the flowers begin to bloom and new animals, such as birds, are born. What other signs of spring can they think of? 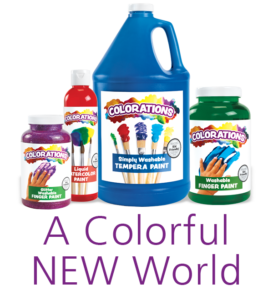 We used BioColor® in turquoise and yellow to paint our flower pots. For a thicker coat, let the paint dry thoroughly before adding another layer. You may wish to break this activity into two sessions. These charming little pots make for great Easter baskets! Hide mini Easter eggs outside or around the room and fill your chirpy little pot to the brim with the goodies that you find!